Just when you thought you’d heard it all and it couldn’t possibly get more left-leaning and worse in California, enter Miguel Santiago. 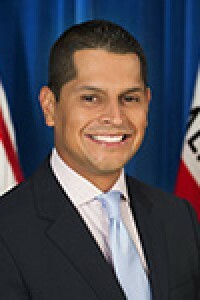 California Democrat Assemblyman Santiago last week proposed Bill AB-3042 which is aimed at honoring and celebrating a communist holiday and labor unions. The bill would allow schools to combine two existing holidays in February, namely Washington Day and Lincoln Day into “Presidents’ Day” and then add a new holiday, “International Workers’ Day or May Day”. “International Workers’ Day” would be treated just like the holidays for our distinguished Presidents, Washington and Lincoln. The public schools would be closed. What would motivate Santiago in wanting to celebrate the history of labor movements and communism? Santiago is up for election in 2018. He was first elected in 2014 and re-elected in 2016. While we may not fully understand his desire for communism to be esteemed in the schools (some people claim that communism had a role in the early days of American unions) we can certainly understand why Santiago would push for a requirement that the history of labor movements in America be shared in the schools regarding the proposed holiday. One look at Santiago’s donors and the answer is clear. All of Santiago’s top contributors in 2016 were unions. Santiago won re-election to the California State Assembly in 2016. During that election cycle, Santiago raised a total of $1,276,035. 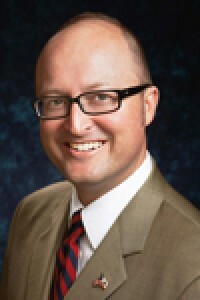 One lone California Republican Assemblyman Matthew Harper addressed the Assembly when it was time to discuss Santiago’s proposed Bill. Thankfully, the Assembly didn’t give in. At least not yet. The bill failed on Thursday by a vote of 27–22 after the Assembly read it three times. But that hasn’t deterred Santiago. Santiago immediately submitted a motion to reconsider on the same day.